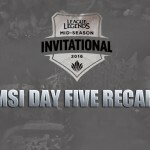 It’s Day 2 of the second annual Mid-Season Invitational in Shanghai, China. Remember, the two teams with the lowest record will be eliminated and the remaining four teams will move on to the knockout stage, which runs May 13th – 15th. NA vs EU. It’s what all of us fans look forward to when an international competition arises. 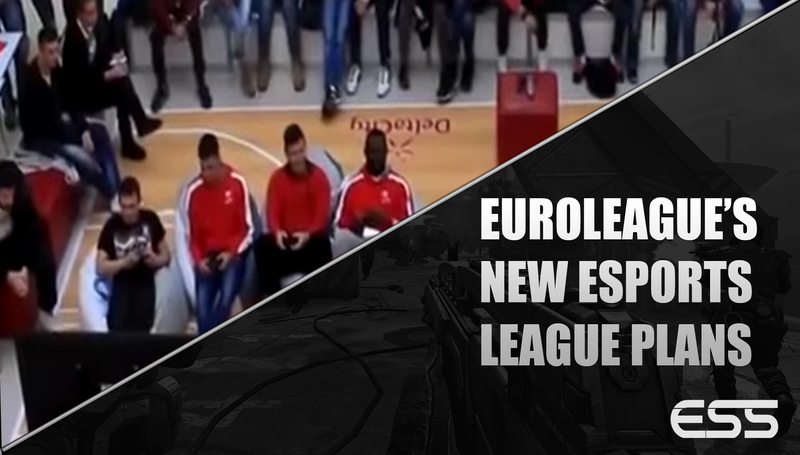 It’s a chance for one region to have bragging rights over the other for the time being. CLG, who had an impressive Day 1 came into this game 1-1. G2, who disappointed yesterday, had a perfect opportunity to bounce back against a CLG side many thought would finish 5th at MSI. But it started horribly for the European Champions. They began the game 6 kills down by the 5th-minute mark, all stemming from a 1st-minute first blood onto ‘Hybrid’ as he walked aimlessly into a brush. These 6 early kills gave lane advantages to everybody on CLG. ‘Darshan’, on Poppy, was able to have an item discrepancy on ‘Kikis’ in the top-lane and ‘Stixxay’, who performed admirably during Day 1, was gifted 2 kills that led to him and ‘Aphromoo’ being able to dominate in the duo lane. The dominant duo lane of ‘Aphromoo’ and ‘Stixxay’ was able to transfer their lead throughout the map. As they took top lane turret down they transitioned to middle lane and bottom lane. These taking down of objectives saw CLG have an open map, allowing ‘Xmithie’ to control ‘Tricks’ jungle and ultimately allowed CLG to dominate proceedings. By the 19th-minute, CLG was able to ace G2 thanks to their superior team fighting and this catapulted them to an 11k gold lead. CLG was able to grab baron after this and push in to win. It was a hugely impressive performance again by CLG, but G2 continue and continue to make mistakes. Even when they’re behind they keep on making super aggressive plays that even further snowball the opposition. The Korean giants SKT and Chinese champions RNG faced off in Game 2 to determine who would be the only team left with a 100% win record. 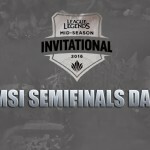 Having lost to the Chinese team EDG in last years MSI final, SKT were looking for revenge – but got off to a very shaky start. In champion select, RNG countered ‘Faker’, who blind picked Azir, with an assassin in Le Blanc. ‘Xiaohu’, who is renowned for his assassin play, got off to an unbelievable start – picking up 3 kills within the first 5 minutes thanks to the help of his jungler. Having control over ‘Faker’ in the mid lane allowed RNG to transfer their advantage across the map – applying pressure to SKT’s bottom lane ‘Bang’ and ‘Wolf’. It also subdued SKT’s creativity with the Korean juggernauts at this point playing reactionary. Despite the deficit, SKT’s bot and top lanes managed to stay relevant. 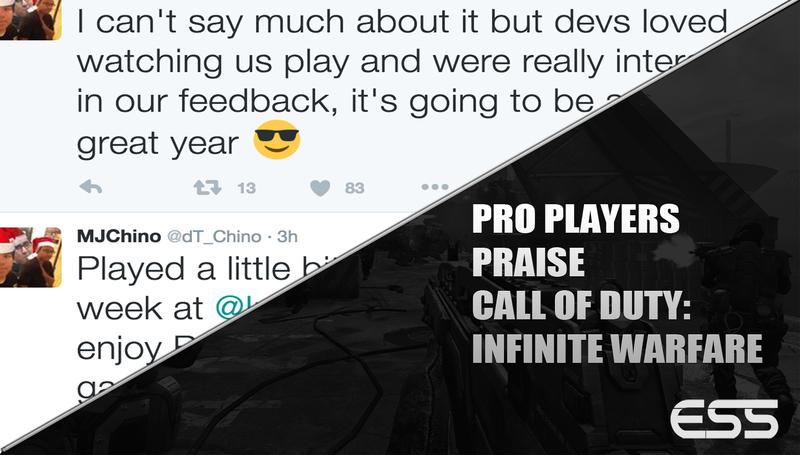 They managed to stall out the game to their credit, but it highlights RNG’s inability to close out games. RNG, who had a superb season in China, received little criticism but did so around their play around baron. They struggled to bait out SKT despite having a significant gold lead and all this did was allow SKT to catch up on items. Despite ‘Faker’ having no influence, the game was drawn out to the hour mark! At this point, the teams were perfectly poised on 5 items, but ‘Faker’ yet again was targeted when the teams grouped around dragon. The lack of subsequent damage saw SKT get aced and RNG pushed on to take the win over their Korean rivals in front of an ecstatic home crowd. The wildcard SuperMassive were looking to rise off the bottom of the table, after they saw G2 lose earlier in the day, by beating the 1-1 Flash Wolves. Flash Wolves came into the game with one of the worst early games in the competition and they were unable to gain any sort of advantage over SuperMassive and by the 12-minute mark, they found themselves 0.7k gold down. They managed to pull this back though after a failed tower dive bot-lane by SuperMassive. Whilst engaging Flash Wolves were able to react quick enough to grab first blood and take the fight 3-2 in their favour. From then on Flash Wolves started to dominate the map. They controlled each jungle and SuperMassive was too slow in reacting to what Flash Wolves was doing – mainly thanks to lack of vision (which is not ideal if you’re running a double teleport strategy). This lack of vision saw them get caught out in their own jungle at the 27th-minute. The lack of coordination in the ensuing team fight by SuperMassive saw them lose 4 members and Flash Wolves managed to grab baron. With the baron buff they pushed bot-lane and aced SuperMassive to win. It took them 30-minutes, but once they got out of the early game Flash Wolves were dominant. RNG and G2 came into this game on different scales of the spectrum. RNG are coming off a huge win over SKT, making them the only team in the competition that is currently without a loss. Meanwhile, G2 are coming off their 3rd straight loss after being stomped by their international rivals, North America’s CLG. In that loss against CLG, it was a bad early game that saw G2 get swept aside and, yet again, Kikis got caught out and even burnt his flash in the process, handing over first blood to RNG ADC ‘Wuxx’ and his Twitch. Despite this, G2 didn’t tilt like they had consistently done in their past 3 games. They stayed level in CS throughout the 3 lanes, matched towers in the lane swaps and even managed to respond in kills by taking down ‘Wuxx’ under his tower bot-lane. 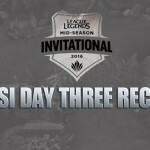 G2 did have a temporary mid-game stumble as a fight occurred in RNG’s blue side jungle. The fight saw the Chinese side take 1 kill and minutes later ‘Perkz’ got caught out mid-lane thanks to a Thresh hook by probable MVP of the tournament so far, ‘Mata’. G2 continued to stay relevant though and managed to get 2 kills of their own as the two teams fought around the baron at the 20th-minute mark. Approaching the 30-minute mark, G2 continued to look like a shadow of the team we’ve seen in the last 3 games. They had kept up in gold despite being behind 8-4 on kills and their shot calling in team fights, rotational play and decision making looked more like the team that smashed the European LCS in the Spring Split. Unfortunately for them, this is an RNG team that has proved itself to be the best in the competition at this moment in time. G2 believed they’d caught out ‘mbg’ near baron but the superior team fighting of RNG saw them come out on top. Minutes later G2 try and catch out trailing members of RNG, but they underestimate this late game Twitch damage by ‘Wuxx’ – they get completely destroyed and RNG push on to win the game and go 4-0 and the end of day 2. G2 can take plenty of positives from this game, but are now 0-4. CLG looked to further cement their place as a top team in this years MSI as they faced off against the winless SuperMassive. The North Americans got off to a difficult start though with first blood going over to ‘Stomged’ as he executed a well-performed dive onto ‘Huhi’ in the mid-lane. The SuperMassive jungler then found himself top-lane moments later as he was able to trade kills as his top-laner dropped to CLG’s ‘Darshan’ on Ekko. The early game continued in a bloody fashion and things started going from bad to worse for CLG, as ‘Achuu’ was able to solo kill ‘Stixxy’ in the duo-lane. By the 12-minute mark, the backline of SuperMassive had money generated exactly where they wanted it – they had the gold income onto their Kindred, who had 6 kills, and Lucian who had 3 kills. This fast and disjointed style of play favoured the wildcard team from Turkey, but they had trouble converting their kills into tower kills. Despite having the kill lead, CLG held a 1.3k gold lead going into the 18th minute thanks to the two towers they were able to take. By the 22nd minute SuperMassive continued to look impressive in team fights, and this time, they were able to take towers alongside this as well. They possessed a 2k gold lead and their advanced map and vision control gave mid laner ‘Naru’ free roam on the ever dangerous assassin, Le Blanc. This map control proved to be CLG’s downfall, as they got caught out in their red side jungle which resulted in a lossed inhibitor. The item discrepancy, thanks to a huge CS lead and the 5 kills onto the Lucian, saw ‘Achuu’ constantly 1v1’ing CLG’s ‘Stixxay’ who had performed well in the last 3 games despite questions regarding his ability before the tournament. SuperMassive were able to ace CLG around dragon minutes after taking the inhibitor to push in and take the win. 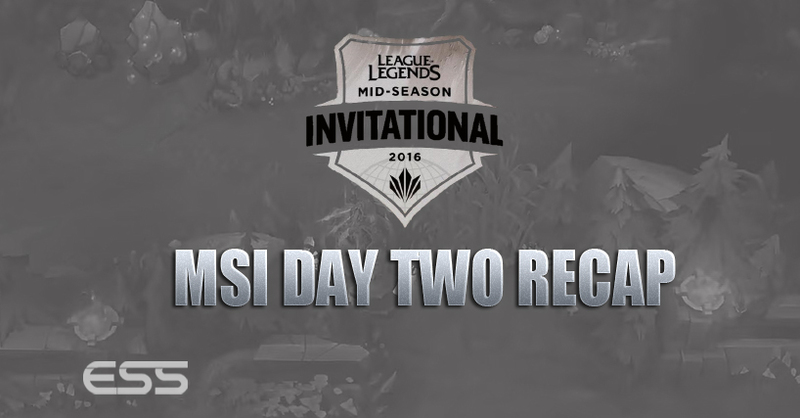 This defeat sends G2 to the last place and gives SuperMassive their first win of MSI. A huge win for the wild card team. SKT were looking to bounce back from their defeat to the Chinese Champions RNG against a Flash Wolves team that was also 2-1 going into this game. Flash Wolves kept up with SKT during the early game and were able to establish a lead going into the mid game due to a good amount of vision and map control. They, unlike SKT, were able to take down towers which meant they were able to control dragon. They were able to stack up throughout the match and seized the 5th dragon, they pushed on to get baron and were able to slowly suffocate SKT of their resources, mainly thanks to their double teleports. The 5th dragon buff allowed Flash Wolves to push in and secure the win, unbelievable. SKT record their second loss of the Day. 1. Royal Never Give Up: Royal Never Give Up end Day 2 with a 100% record at 4-0. They defeated the team tipped to win the tournament in SKT and managed to overcome G2. 2. 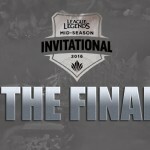 SKTELECOM T1: An abysmal day for SKT, unbelievable really. They’re now 2-2 after today and Fakers Azir really didn’t work. He was never able to get any sort of lead to snowball his team. 3. Flash Wolves: Getting a 2-0 record today, Flash Wolves looked better than they did Day 1. Day 1, Flash Wolves were dreadful early game but today they matched one of the best teams in the world in that early game and played methodically in their victory. 4. 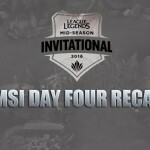 Counter Logic Gaming: It started well for CLG with a dominating win over the European G2 ESports but a shock loss to the wildcard team SuperMassive showed massive weaknesses. Performances confirmed the fact that Stixxay can’t play Sivir. 5. Super Massive: Yes, they’re above G2 Esports. Super Massive looked good against Flash Wolves early game and dominated against Counter Logic Gaming. Can they push on from here and get in that top 4? 6. G2 ESports: G2 Esports yet again had a bad day. They got demolished by CLG after an unbelievably poor early game (conceding 6 kills in 5-minutes) but they can take a bit of confidence after putting in a decent performance against RNG. Lack of training prior to the tournament has shown.